Situated in Louveciennes, this hotel is 3.1 mi (5 km) from Malmaison Castle and within 12 mi (20 km) of Palace of Versailles and Champs-Elysees. Arc de Triomphe and Lido are also within 12 mi (20 km). Located in the heart of Louveciennes, this residence is 2.8 mi (4.6 km) from Malmaison Castle and within 12 mi (20 km) of Palace of Versailles and Champs-Elysees. Arc de Triomphe and Lido are also within 12 mi (20 km). Plenty of tourist attractions nearby the hotel Novotel Paris les Halles: the Marais area, Georges Pompidou center, Notre-Dame, Louvre etc. Business or leisure travelers can enjoy the culture of the city. 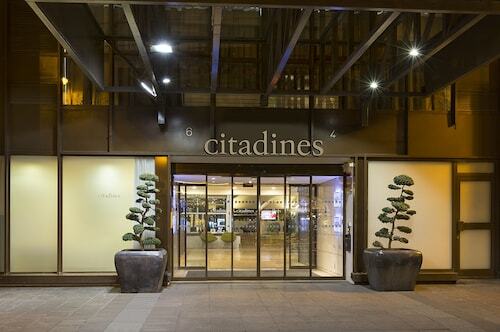 Located in 15th Arrondissement, this hotel is within a 15-minute walk of Rue du Commerce and Necker-Enfants Malades Hospital. Tour Montparnasse and Rue Cler are also within 1 mi (2 km). Vaugirard Station is only a 4-minute walk and Volontaires Station is 7 minutes. How Much is a Hotel Room in Louveciennes? 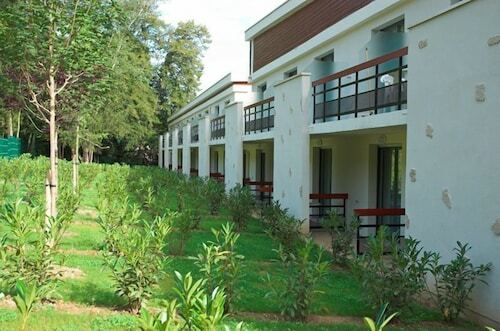 Hotels in Louveciennes start at $67 per night. Prices and availability subject to change. Additional terms may apply. Heading to Louveciennes? There is a wide selection of hotels for visitors to choose from. Inside our comprehensive travel guide, you can discover 68 accommodation choices within a 6-mile (10-kilometer) distance of the town center. Explore the streets close to the vibrant heart of Louveciennes. 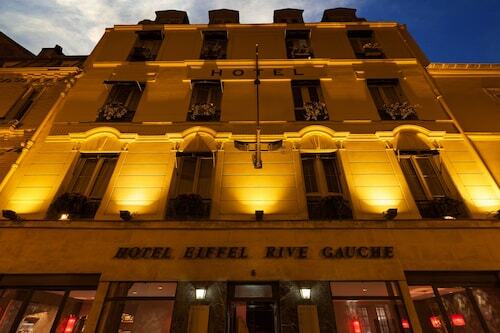 Rooms located around the area include Appart'City Versailles Louveciennes and Comfort Suites Port-Marly Paris Ouest. The Mandarin Oriental, Paris is approximately 10 miles (16 kilometers) away from the middle of Louveciennes. 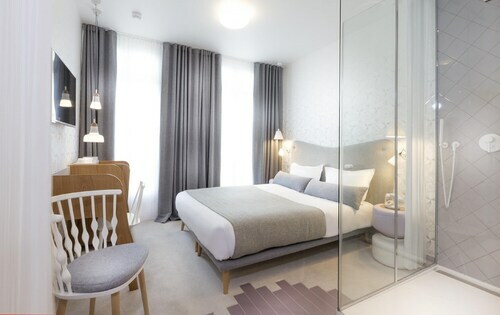 Another accommodation option is the Le Royal Monceau Raffles Paris, which is approximately 9 miles (14 kilometers) away. Another two alternatives in this neighborhood include the Shangri-La Hotel Paris and the Hôtel Barrière Le Fouquet's. Once you have spent time in Louveciennes, ensure you allow time to discover Ile-de-France's other scenic and cultural delights. Ile-de-France is known for forests, and interesting visitor sites include castles, old towns and historic mansions. Outdoor-loving visitors might also try city walking tours in the region. 7 miles (11 kilometers) from Louveciennes, you'll reach Maisons-Laffitte, where you can explore Golf de Maisons Laffitte and Chateau de Maison. A few Travelocity-recommended Maisons-Laffitte accommodations include the Residhome Carrières La Défense and Cerise Maisons Laffitte. For another option, stay in Saint-Germain-en-Laye, 6 miles (9 kilometers) to the north of Louveciennes, where you have the options of the Pavillon Henri IV and Relais & Châteaux Cazaudehore - La Forestiere. The Chateau de St-Germain-en-Laye and Saint-Germain-en-Laye National Museum of Archaeology are a couple of the more popular sites to see when you're in Saint-Germain-en-Laye. Before you leave Yvelines, be sure you are able to see a thrilling match. Swing by Stade de France, which you can find to the northeast of Louveciennes. 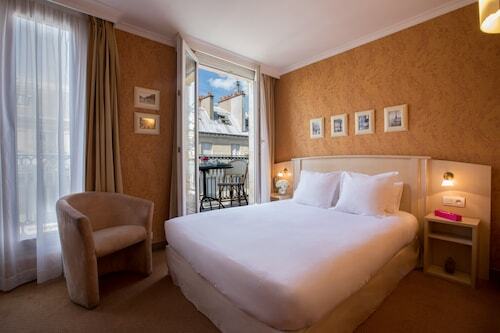 Find accommodation near the action at the Hotel Particulier Montmartre or the Design Hotel Secret de Paris. 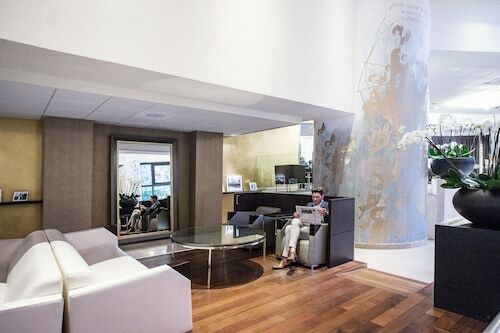 Located 14 miles (23 kilometers) away from the downtown precinct of Louveciennes is Orly Airport. 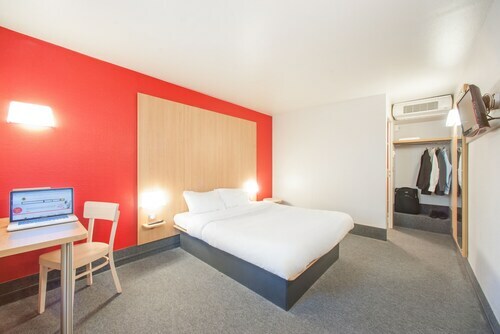 Find a room nearby at Mercure Paris Orly Rungis or Hilton Paris Orly Airport. Everyone has been wonderfully kind & accommodating. Excellent location . Lovely hotel. I could not say enough great things about this hotel. The location was perfect - close to three metro stops, on a quiet, but close to everything street. The street had few nearby convenience stores, a post office, many great restaurants (Le Percolateaur was a particular favorite), bakeries, anything you could need. Also, the staff were incredibly helpful and friendly (particularly Paul who helped us figure out the best ways around Paris)! 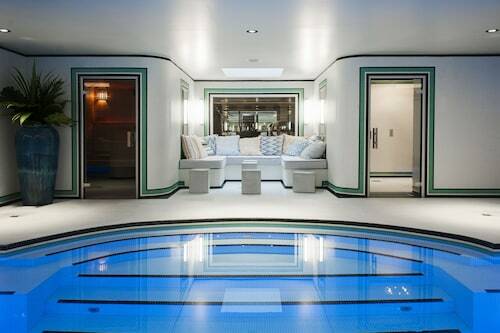 Definitely where I would stay again in Paris! Housekeeping needs up their cleaning standards. Old sock found under the bed. I love everything about the hotel and the staff , close to everything especially when you learn how to get around using the metro. My only complaint was that, there was construction outside when I was there and you could here people moving around in the rooms next to me or above us With that said, i would still rate them a 5 star. Their commitment to their guests will make it worth your time. We loved the location. It is on a perfect street with many unique and typical local French vendors. Easy to get to. it is very close to metro, great location. Rats in the early morning looking for food. lots of homeless sleeping near store.